Facebook usually buys apps and various online services, but not today. The company has just announced that it has agreed to purchase Oculus VR, the company working on the Oculus Rift virtual reality headset. The final price for the company was $2 billion ($400 million cash, $1.6 billion stock). That's 2 Instagrams, if you're keeping track. 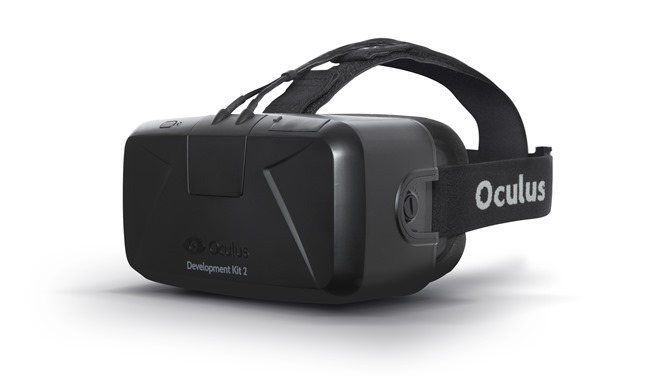 Oculus VR has been the darling of the gaming realm ever since its wildly successful Oculus Rift Kickstarter, and just announced a second version of the Oculus Rift developer kit. The technology is so impressive that computer gaming heavyweight John Carmack joined the company, and recently severed all ties with id Software to work full time as Oculus' CTO. Incidentally, Carmack now works for Facebook, which is bonkers all by itself. So what does Facebook want with Oculus? As Facebook's Mark Zuckerberg points out, nothing is changing with the company's gaming plans. So relax – the Android support for Oculus Rift should still be coming. The Oculus Rift is still happening and Facebook intends to get more game developers on-board with the Rift in time for release. If Zuck is to be believed, Oculus VR will be staying at its current headquarters and will operate independently. Facebook isn't buying Oculus to make games more immersive, though, it wants to make everything else more immersive. Facebook sees VR as a way to join a virtual community from the comfort of your own home and feel like you're really there. Whether you're taking a class, seeing a concert, or checking out the sights in an unfamiliar city, Facebook thinks the VR tech from Oculus can take you there. Of course, there are any number of dystopian sci-fi stories you can spin out from this starting point, but we'll just have to wait and see. The deal should be done in the second quarter of this year.